" Victor " wondered what he should type next. The cursor on his computer screen was blinking insistently in a blank white text box. Above the text box was a chat discussion he had been having for the past two hours with a Filipina from his home country. Not having luck in the States, he resorted to date asian women he picks up from the various online dating sites. Everything had been going seemingly well, until her previous comment. She seemed very awed by the fact that he lived in San Francisco , had a job as a physical therapist , drove a Chevrolet , and still remembered enough Tagalog to impress her. 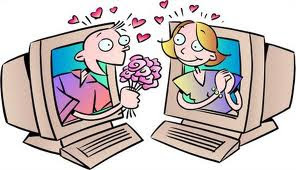 Although he'd never met her in person, he felt that he knew a lot about her due to the wonders of the internet. From what he was able to glean from their prior chats, e-mails and facebook sharing, the Filipina was not only funny , but she also possessed a sharp wit, friendly personality and a steamy, passionate side that occasionally bubbled to the surface in some of their flirty exchanges. Victor had known her in this way for the past three weeks. She was the shining beacon of hope and joy in an otherwise murky and dark sea of his mid-life despair, where the highlight of each day was when he retired to the living room couch and dropped off into a restless, dreamless sleep. His entire life had changed for the better since he inadvertently stumbled onto her blog in an asian women dating site . Inspired to say something witty, he posted a comment in one her more provocative blogs. She, in turn, visited his blog where she entered an equally cutting comment. The rest, as they say, was history.Hopefully heading to a happily-ever-after-ending. "So, Victor , are you married ?"